Oysters Reintroduced to Boston Harbor in 2008! The Charles River used to be teeming with oysters. Up until the 20th century, oysters could be harvested in the Charles that were up to a foot long! These amazing bivalves are filter feeders and can process and filter up to 30 gallons of water a day and undergo nitrogen fixation. However, due to loss of habitat through river fill, pollution, and over harvesting, oysters have not been present in the river for decades. 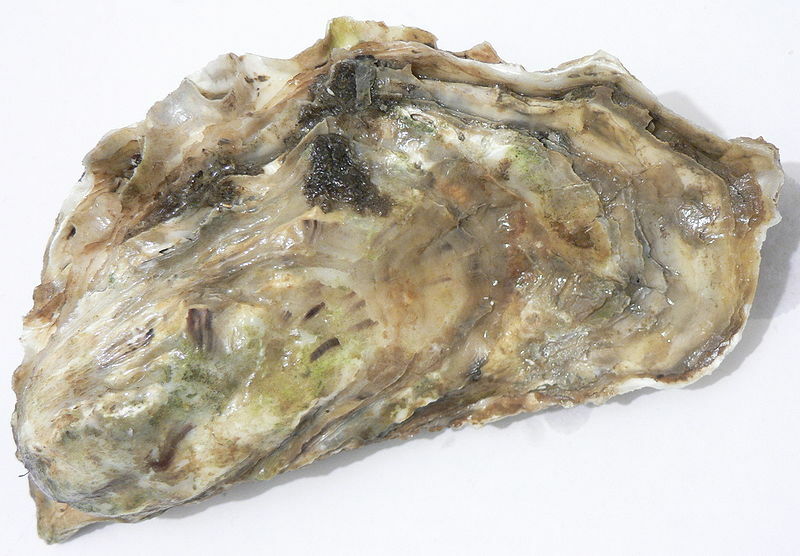 Thanks to a group called the Massachusetts Oyster Project, oysters were reintroduced in the Boston Harbor in 2008! They placed 150,000 oysters at the mouth of the Charles River. Due to the dam placed at the Museum of Science in the early 1900’s, the Charles River is no longer an ideal habitat for oysters. The brackish water- or mix of salt and freshwater at the mouth of the Charles is the perfect spot for oysters. The spot is also ideal because it’s an area where it’s difficult for people to harvest them. 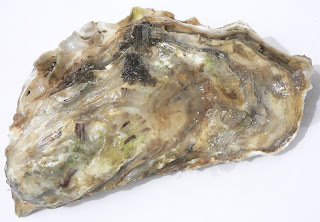 This is especially important for oysters that also filter and process sewage- they could be carriers of salmonella or other harmful bacteria. Have you been to Herter Park? Before I began working at the Conservancy I had never set foot in Herter Park, nor had I heard of this area of the parklands that is located along the riverbank in Allston, but the more I’ve learned, the more I am surprised that it’s remained under-wraps for so long. Not only does Herter Park have a fascinating history, but it is the largest section of open parkland in the Basin. In a city as busy as Boston, that’s definitely something to brag about! Herter Park is worth a trip. With two community gardens, the recently renovated Artesani Playground, a huge open lawn that draws volleyball players and picnickers, and a Charles River Canoe & Kayak rental kiosk, this area of the parkland has something for everyone. Like me, you probably didn’t know that this section of the park used to be home to a speedway. It’s true! 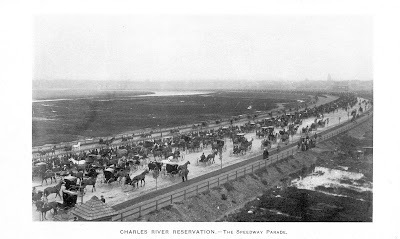 The Charles River Speedway was constructed in 1899 to serve as a racing track and promenade for horse-drawn vehicles. For many years the Speedway was an active venue for horseshoes, horse racing, and carriages. But by the late 1950s the automobile had become king, and, as buggies and carriages fell out of fashion, the land was turned over to general recreational use. Herter Park is now the finish line for two of the biggest water sports in the nation – the Head of the Charles Regatta and the Run of the Charles canoe and kayak race. 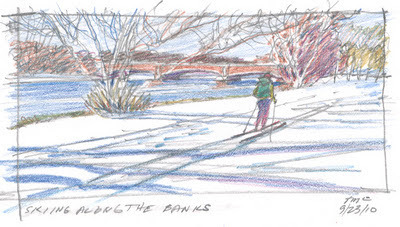 With winter upon us and snow in the near future, Herter Park is a great place to cross-country ski and snowshoe, and ample free public parking is available. The snow is coming but that’s no reason to stay indoors. Get out and have fun in the Charles River Parklands! As a member of the Charles River water quality monitoring team – a collaboration between the Charles River Conservancy and Northeastern University – I’ve experienced the joys and challenges of being out on the river every single day, for two summers in a row now! 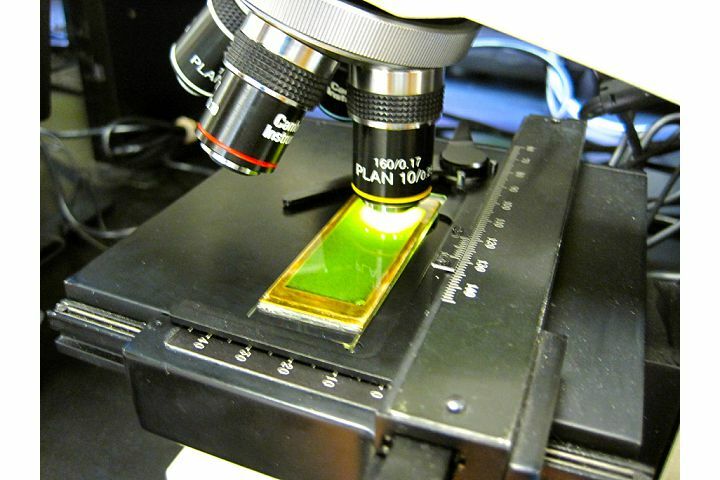 During the summer of 2011, we followed a day-to-day procedure of sampling, monitoring and analyzing the water quality to help determine the safety for swimming. There were three spots along the Charles spreading out from upstream to downstream under our monitoring. We had a cycling team including Kellie, Robert and myself to access all these spots and perform water collection every day. After we collected the samples we took them back to the environmental lab at Northeastern University to process and analyze them. The most challenging day of this project was when Hurricane Irene swept over Boston. Under the severe weather conditions, we collected the precious samples as usual in the midst of flying branches and collapsing trees. It was worth the risk though. The data obtained over the past two summers helps build up a foundation to study and understand the Charles under various conditions and will help to bring people back to swim in it. We’re looking forward to having you join us to help get the Charles cleaner. Note: Results from this summer’s testing will be available in the coming months. The Conservancy looks forward to sharing the details with you. Beautiful fall foliage along the river! You may have noticed the beautiful fall foliage along the river. 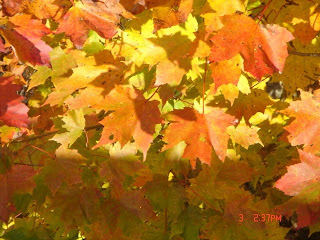 Autumn is a great time to observe the leaves changing from green to a beautiful oranges, reds, and yellows. But have you ever wondered why the leaves change color? 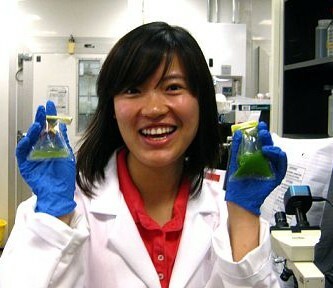 The process has to do with the changing of pigments in the leaves. Chrlorophyll which is normally present in the leaves produces a green pigment that acts as the dominant color throughout the season. During autumn, the chlorophyll, which allows leaves to manufacture sunlight into food, stops being produced and therefore allows the the other colored pigments, such as carotenoids to show through. Cartenoids produce yellow, orange, and brown colors (also found in foods like corn, carrots, and bananas). Anthocyanins produce shades of red in the leaves and are produced only in the autumn, when bright sunlight and excess plant sugars are available inside the leaf cells (anthocyanins produce the red colors in cranberries, red apples, cherries, and strawberries). Now when you look at the leaves you can think about all the cool processes that are happening to create this beautiful fall display. But don’t trust me- check it out for yourself! If you’re looking for more beautiful fall foliage, and perhaps a day trip or hike, then call the Forest Service’s Fall Color Hotline at 1-800-354-4595 for the most up to date details of the fall color display. Do your weekend plans include joining the 300,000 spectators who will line the riverbanks for the Head of the Charles Regatta? It is fun to watch the athletes in action and enjoy the colorful aspects of the event. Here’s a bit of information about the race and the sport of rowing. class of ‘46 purchased an 8-oared boat and organized the first Harvard Boat Club. On the Boston side of the river, the Union Boat Club was founded in 1841. Collegiate women joined the action when Wellesley College organized a rowing program in 1875. The Head of the Charles Regatta, first held in 1965, is now the world’s largest two-day rowing event. The competitors you see passing on the river are not racing one another side-by-side. In a “head” race, each boat is timed and the fastest time wins. The starting line is opposite Boston University’s DeWolfe Boathouse. The finish line is 3.2 miles up river by Herter Park. This is also where boats launch for the race. Once on the water, the crews row along the Boston shore and circle in a waiting area, just west of the Massachusetts Avenue Bridge, until they’re called to begin their race. The racers compete for prizes in many categories. Boats are grouped by the number of rowers onboard- singles, doubles, fours, and eights. All eights include a coxswain who doesn’t row but is responsible for steering and giving race commands. Some fours also have this additional crew member. There are divisions for men, women, and mixed crews, and for collegiates, masters, youth, and other special groupings. Nine thousand rowers will have to learn the ins-and-outs of the course and the rules that make this race a model for safety and sportsmanship. The large number of boats on the river, six bridges, and the curving course make completing this race, without incident or penalty, challenging. Penalties for infractions, like going off course or interfering with another boat, are added to a crew’s time and can hurt a winning effort. This October happening has a festival atmosphere with a Rowing and Fitness Expo and a carnival of food vendors. Reunions along the river are a race tradition. Organizers call “The Reunion Village” a place for, “clubs, schools, alumni groups, parents, boosters and ‘Friends’ to connect and enjoy themselves.” Elsewhere along the river, you’ll see tents erected and blankets spread as people gather informally to enjoy the race, the season, and old friends. This will also be a weekend of volunteerism and charitable giving. More than 1500 volunteers assist with the race. And, since 1998, the event’s charity program has raised more than $800,000. At the the Head of the Charles Regatta’s official website (www.hocr.org) you can learn more about the history of the race and the sport of rowing.